Commercial Pest Control Gets Rid of Your Pest Problems - Yes Pest Pros, Inc. Commercial Pest Control Gets Rid of Your Pest Problems - Yes Pest Pros, Inc. When you run a business, there are some key factors in making it successful. First, you have to have a product or a service that customers need on a continual basis. Second, you have to have acceptable prices that your customers are willing to pay. Finally, you have to have a base where your customers can find you when they need you. For example, if you are selling food, you need to have a restaurant. If you are selling goods, you need to have a store front. Whatever your base is, it needs to be presentable. If your base is not presentable, you are likely to lose several, if not all, of your customers. One factor in making sure that your base is presentable is making sure that it is free of termites, ants and other bugs. The last thing your customers want to see, when they come to visit you is signs of these nasty little creatures. It is vital, for the welfare of your business, to make sure that you are investing in commerical pest control. In some areas, this may be referred to as pest extermination, pest control, or pest services. No matter how it is termed in the area you live in, you must find a good residential and commercial pest control company to come out to your base and help you out. A good residential and commercial pest control company will first discuss with you what types of pests and termites you need to be on the look-out for. Indiana residents will have to fight different pests and termites than people in other areas of the country. After teaching you about your pest and termite risks, a good residential and commercial pest control company will do a thorough walk through of your building and walk around the perimeter of your building to determine if you have any current pest or termite issues. They will then suggest treatment options for anything they have found. Once you decide which treatment you want to use, they will take care of the issue. 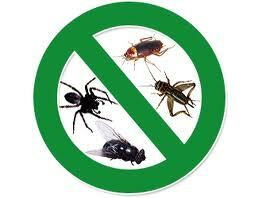 Perhaps the most important thing that a good residential and commercial pest control company will do is prevention. Pest services aren’t not just about treating your business when there is a problem. If you are working with a good exterminator, then they will help you keep your pest control costs down by completing routine pest extermination measures to keep pests and termites at bay. It may seem expensive at first, to have such a service done on a regular basis. However, if you compare the cost of routine maintenance by a good residential and commercial pest control company to the potential costs of exterminating various problems after they exist, you will likely find that the prevention method is far cheaper in the long run. So, do your research and hire the professional residential and commercial pest control experts at Young Environmental Solutions before you find unwanted pests or termites in your business, you and your customers will be happy you did.